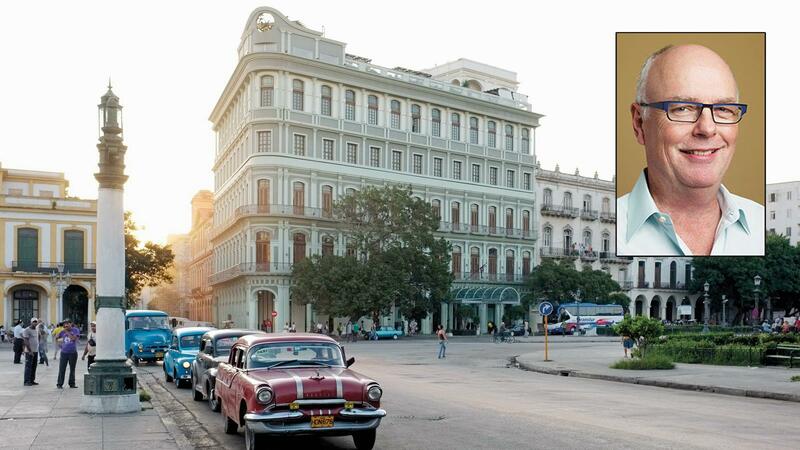 The Friends of Partagás get-together this week in Havana is more a meeting of like-minded cigar lovers, rather than a full-blown commercial and social extravaganza like the Festival de Habanos held every year in late February. Organizers said that around 500 people had signed up for the final gala dinner, but at the opening night dinner, there were approximately 200 people in the room. The Habanos event draws more than 1,200 people. The Friends of Partagás Meeting—the event's official name—is a kind of mini-Festival. The cocktail reception began on the terrace of the Hotel Nacional, on a sultry evening in November, by all accounts much warmer and more humid than it should have been for this time of year. Cigars were passed out, including a Partagás Serie D No. 5. Each cigar carried a special elaborate band highlighting the 170th anniversary of the Partagás cigar brand. There were performances by dancers from the Hotel Nacional's Le Parisien, a cabaret style nightclub, and a longest ash contest to end the night. Each table seemed filled with people who knew each other, and who had been coming to the event every year for a long time. The atmosphere was jovial, the noise level quickly rose to "very loud," as the mojitos and the wine began to have their desired effect. The dinner include smoked salmon, a filet with mushrooms, and flan for dessert. The evening was topped off with a bottle of Havana Club Selección de Maestros, one of Cuba's finest rums. "This is a far better event than the Festival de Habanos," says Amir Saarony, the author of a book on Partagás called Partagás: El Libro. "People just have much more time to relax, and to talk with each other." The events are pretty low-key. An opening dinner. A two-day jaunt to the countryside and the beach, and then back to Havana for the closing gala. I also attended a small cocktail party put on at Casa del Habano at the Meliá Habana hotel in Miramar. There were presentations, and more cigars with the fancy anniversary bands handed out, including a Romeo y Julieta Wide Churchill. Other smaller events were being held throughout the week in the evenings, or during the day with cigar and spirits pairings. Given the schedule, it is a great time to get to know Havana, try out some other restaurants around the city (which I've been doing), and in my case, get some reporting done for the magazine. I've also visited five of the city's best Casa del Habanos, which I'll report on in another blog. If there was one especially happy moment, it occurred at the opening dinner. Abel Expósito Diaz, who created the event to honor his best customers at the Partagás factory shop, made a public appearance and was invited up on stage. Up until earlier this year, he had been under a black cloud of investigation by the Cuban government with unspecified accusations. (Read "Abel's Long Journey Home" in the October issue of Cigar Aficionado, featuring Robert De Niro on the cover.) He was cleared late in 2014 and by March had opened up his own restaurant in the city, but his appearance at one of the official events heralded his public rehabilitation; he received a standing ovation, and slaps on the back as he returned to his seat after being honored on stage. The kick-off was a success, and crowd lingered in the afterglow, filling up the rattan chairs under the colonnade of the Hotel Nacional, and spilling out into the garden. The laughter and the ongoing camaraderie said everything about the evening's success.